Each time we revisit a text, we approach it with a new perspective because we’re always changing. While some may see rereading as a waste of time, I enjoy revisiting texts to observe how much my views and enjoyment of it has changed. It’s highly unlikely that my reaction to the reread is the same as my initial read. My enjoyment of the text shifts either because I can better understand and appreciate the author’s craft and message; or because I am able to spot the faults in the story, which curdles my enjoyment. Sometimes my reaction to the text is altered by experiences that have changed my outlook on certain issues. Other times my involvement with people and other media influence me toward certain opinions that may affect how I interpret a story. 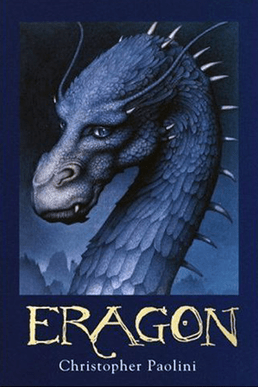 Since I reread A Game of Thrones a while back, I decided to reread Eragon as well. Actually, it was under the duress of being late for work that caused me to grab this book from my shelf. I did not have time to mull over a decision so I grabbed the first thing I thought would be pleasing. I enjoyed reading Eragon the first time so I’ll enjoy it as much this time, I thought. A fifteen-year-old boy name Eragon discovers a mysterious blue stone on one of his hunting trips into the forbidding mountains of the Spine. He carries it home to the farm where he lives with his uncle and cousin on the outskirts of a village, and tries to determine what type of stone it is. Stumped, he shows it to his uncle who determines that the stone must be of great value because of its peculiarity and decides they should trade it. However, because of the harsh conditions in the country (called Alagaesia) caused by urgal attacks, it’s impossible to trade the stone, which no one knows the value of. 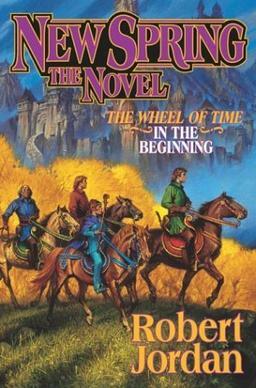 New Spring, the prequel of The Wheel of Time series, seems to be the shortest book in the pack but that doesn’t mean it’s quick reading. Shortly after completing The Shadow Rising, I rushed to the bookstore to pick up New Spring. I was too curious about the history in the series to wait until later or until I completed the series to read the prequel. So much had occurred prior to the first four books and I wanted the details on those events. What were Moiraine and Lan up to before finding the boys in Two Rivers? What was going on with the Seanchans and were the Forsaken loose and prowling about then too? What was Padan Fain doing before he became a peddler in Two Rivers? The Aes Sedais mentioned something of Padan Fain’s past in The Eye of the World but I want more details. I thought the prequel would provide a broad view of key characters, noting their activities prior to book one but such was not the case. Instead, the prequel focused on Moiraine and Lan, mostly Moiraine; however, it is Lan who begins the story. The Aiel Wars are winding down and ends when the Aiel oddly retreat. Lan is relieved of his duties as commander of his unit and has plans to return north but his plans are upset with he learns that his carneira, some old lady he banged back in the day, wants to raise support and crown him as king of Malkier. So he travels to Chochin to face her. Really, Lan’s story didn’t do much except to give us a smidgen of the Aiel War and to remind us who Lan is, the last of the Malkier kings, and how he is, grave, loyal, honorable. The Shadow Rising was too damn long. Although it is a good read, the length turned me off and soured my enjoyment of the story. This might seem like unnecessary ranting since I’ve completed the first three books in the series, which are all hefty, and read the prequel of the series shortly after completing The Shadow Rising. But for some silly reason I thought (or convinced myself) that by the fourth book Jordan would realize how unnecessary it is to make his books so long for no reason. I should have known better. The length of the series should have been an indicator that Jordan never realized that he was going overboard with length. 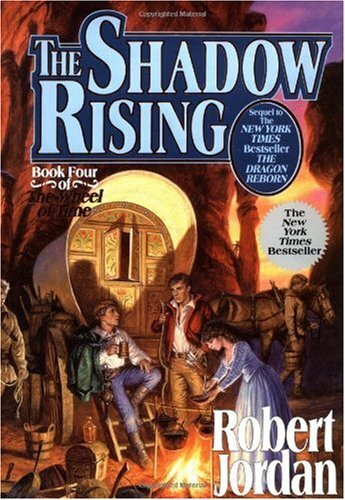 Despite that, this installment of the Wheel of Time series was great in that we learn more about this fantasy world as we see it begin to change. We see a bit more of the Aiel and learn their history; we realize how corrupt the White Tower is, or rather, how divided it is; and we see Perrin become the leader he is destined to be. We pick up with everyone (Rand, Perrin, Mat, Moiraine, Lan, Nynaeve, Elayne, Egwene, Faile, Loial, Thom) in Tear. Rand has Callandor and is trying to control his power while staving off Moiraine’s influence, rule Tear, and keep some of the Forsaken at bay. Mat wants to leave Tear but can’t because of Rand’s pull as a ta’veren. Perrin wants to return to Two Rivers to help his people, who are being attacked by White Cloaks and trollocs, but wants to protect Faile as well. So, for the while, they dawdle. Available on Amazon and at your local bookstore. It seems that once I read a novel by Robin McKinley, it remains forever imprinted in my mind, floating around in my memories, and tantalizing me at random moments with traces of the story. That is what drove me to re-read Spindle’s End and to discover The Blue Sword. I had forgotten the name of a tale about a girl with vivid red hair who defeated a dragon and mistook The Blue Sword to be the book I sought because of its cool title and obviously the girl would need a sword to defeat the dragon so why not a blue one. I passed over The Hero and the Crown, judging the book by its title and wrongly thinking that the great story I read years ago could not have had such a simple title. Oh, to be deceived by simplicity. If I had taken the time to read the blurb on the back cover or even to skim the first few pages, I would have found the book I was searching for. Nevertheless, finding The Blue Sword was a wonderful misdirection that took me on an absorbing read. The Hero and the Crown was just as great but I love The Blue Sword’s story more (though, The Hero and the Crown was a more enjoyable read. I just love the imagery in the story). This is interesting because when I first read The Hero and the Crown back in high school, I could not find another story that I loved more (except for Rowling’s Harry Potter and Tamora Pierce’s Alanna series). Now that I’ve read both books almost back-to-back, I can tell why the younger me loves The Hero and the Crown and the older me enjoys The Blue Sword. I bought this book at Barnes & Noble thinking I read it back in high school. The book I recalled reading had a girl with flaming red hair, wielding a sword, and fighting a dragon that burnt off all her hair, which was never again as lustrous as it once was. After reading The Blue Sword, I realized that the book I was thinking of was The Hero and the Crown. As I mentioned in my reflection on Spindle’s End, The Hero and the Crown was the first book I read by Robin McKinley. Like Ursula Le Guin and J.K. Rowling, McKinley’s characters tend to stay with me for years. The details of the story may cloud over with memories but the characters never fade away. The Blue Sword is about a girl named Harry Crewe who moves to Ihistan, a military outpost in Daria, a land claimed by Homelanders, to live closer to her brother after their father died. She finds herself bored by the area but fascinated by its native inhabitants, the Damarians, or the Hillfolk, as they are referred to by the Homelanders. (The Hillfolk call the Homelanders Outlanders.) The Homelanders invaded and colonized Damar, a fabled land that is said to contain magic, to access the mines in its hills. Leaving the desert to the invading Homelanders, the Damarians retreated to the mountains that surround the desert. While some Damarians mingle with the Homelanders, others refuse to associate with them. Both, though, refuse to share much of their culture with the Homelanders, whom they see as obnoxious. The Homelanders instead speculate about what they do not know of the Damarians, who they think to be peculiar and secretive. Available on Amazon and at you local bookstore. The Song of the Lioness series continues with Alanna and Coram in Maren, a country to the east of Tortall. Her purpose there is to find a friend of Myles’, who can translate a map she was given by the nameless woman who died in the last book. She discovers that the map points the way to the Roof of the World, where the Dominion Jewel is kept. The Dominion Jewel is a powerful object that only a true leader can wield. Alanna decides to embark on an adventure to claim the Dominion Jewel for Tortall to prove her worth as a lady-knight and to further fortify Tortall. But before she begins this adventure, she meets a dragon. No, not one with pointy teeth and fiery breath but one just as deadly. She meets Liam, a member of the Shang warriors. He is called the Shang Dragon, “the best of the best,” and is lethal both with weapons and weaponless. Immediately Alanna is drawn to him and it’s lust at first sight. The Lioness and the Dragon engage in a stormy affair that’s short-lived due to their stark differences, stubbornness, and Liam’s fear of magic. After hearing of their plans, Liam decides to accompany Alanna and Coram to the Roof. Along the way, they meet Buri, a K’miri warrior, who accompanies Thayet, the exiled princess of Sarain. They both travel with children, fugitives of Sarain’s civil war. On her first adventure as a knight, Alanna and Coram visit the Great Southern Desert, where she runs into one of the Bazhir tribes called the Bloody Hawk. After a tense meeting, where she was shunned by the Bloody Hawk’s shaman, she and Coram are inducted into the tribe. They call her “Woman Who Rides Like a Man” since she goes unveiled, wear breeches, carry a sword, and literally rides a horse like a man. While residing with the tribe, Alanna and Faithful, her cat, are adopted by three children—Ishak, Kara, and Kourrem—, who were made outcasts of the village by the shaman because they have the Gift (magic). After the shaman dies due to his own stupidity, Alanna begins to train the three children to become shaman of the village. Prince Jonathan and Myles also visit Alanna while she resides with the tribe. George sent his spies. After winning their acceptance, both Jonathan and Myles were inducted into the tribe. Myles uses the opportunity to adopt Alanna—both magically and legally—as his heir. Jonathan and Alanna rekindle their romance and there is talk of marriage, which leads Alanna to again ponder what it is that she wants. She yearns for adventure but she also loves Jonathan. However, committing to Jonathan carries responsibilities such as marriage and producing an heir for the kingdom as soon as possible. Still, she does enjoy George’s company. She hardly has much time to ponder this since she helps to train her young shamans as well as others who visit the Bloody Hawk, which marks the budding of a new school of magic. Also, she tends to the Voice of the Tribes, a spiritual figurehead, who is frail and sick. The main reason for Jonathan’s visit is to become the new Voice of the Tribes. It’s a controversial move since the Bazhir tribes and the king of Tortall are at odds but the Voice of the Tribes believes that by making the prince the Voice, the rift between the king and the tribes will mend.